Inside a Mechanical Engineering laboratory, I experienced one of my proudest educational moments. In a room full of the most methodical and mathematical minds of the university, I shined - even if just for a brief flicker. The group assignment was clear: disassemble then reassemble the gas-powered leaf blower. A boyhood filled with tool tinkering and fixing cars with Dad was about to blow these nerds out of the water! My classmates may have memorized scientific formulas; I had at the moment something much more valuable: relevant practical hands-on understanding. During that college lab assignment, I actually understood what was going on inside that leaf blower before loosening the first screw. Through his workshop lessons, my dad had unknowingly given me the missing pieces between theory and reality. The hours of deconstructing, fixing, and building machines taught me about the relationships between the simpler components of those intimidating and complex monsters. Even a Swiss watch or Ferrari is made of only a few types of interconnected parts...a short list of six Simple Machines. These six components combined to form all other complex machines, from scissors, to bicycles, to washing machines, to automotive engines. I knew them well. Any freshman physics class analyzes basic Force-vector theory around several objects: inclined planes, rope pulleys, wedges, wheels/axels, and lever arms. 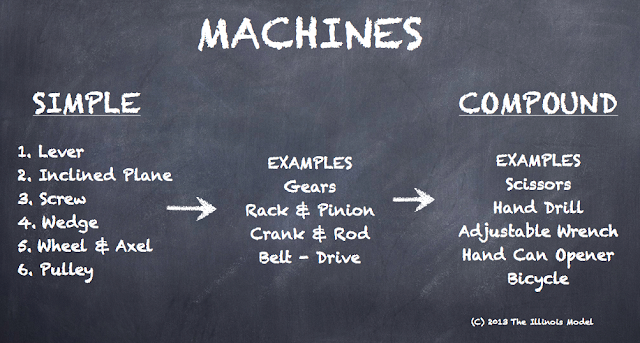 They are the most fundamental "machines" that provide for changes in the direction of an applied force. These same components were those I had learned so much about in Dad's workshop. In one instance I calculated numbers on graph paper; the other with greasy crescent wrenches under a 1972 Volkswagen. The Six Simple Machines, combined into growing complexity. 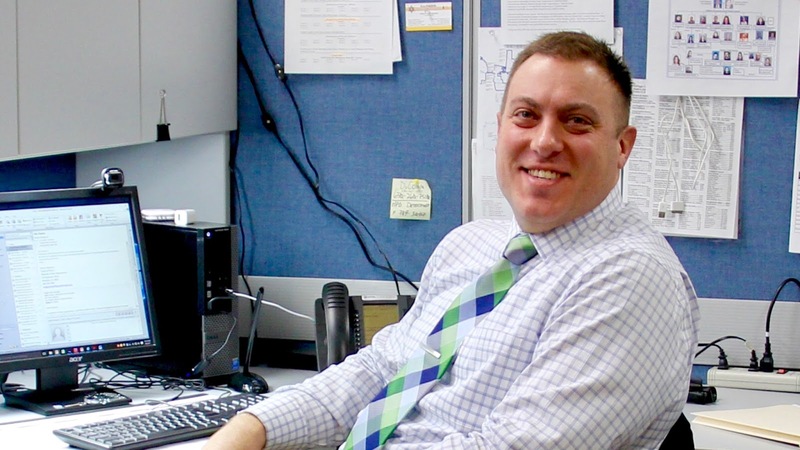 I unknowingly took that college lab experience into my career as a police trainer. My bosses tasked me with a seemingly endless list of tactical topics: perimeter/containment, building searches, felony vehicle stops, active killer response, physical fighting skills, hostage rescue tactics, K9 operations, officer-down rescues. The list advanced up to levels including various SWAT schools. 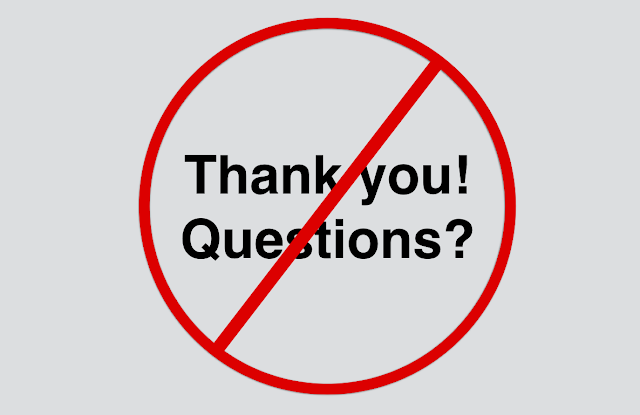 I got frustrated at having to start over at square one each time we began a new topic. Nothing from previous classes seemed to be sticking with the students. I imagined there had to be some some common threads among the different team applications. 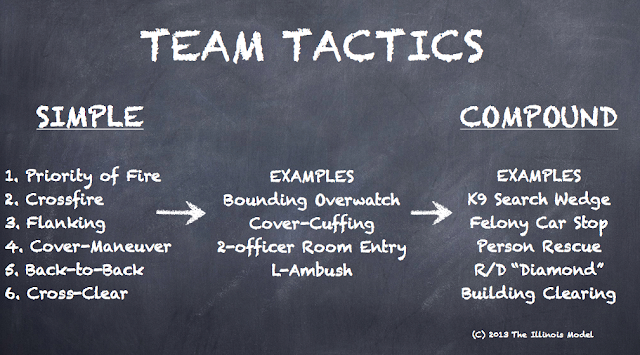 My training cadre listed what we believed to be the building blocks of team tactics. We looked at patrol functions as well as advanced SWAT techniques. What issues reared themselves across all the different disciplines and situations? The list grew, and shrunk, and condensed, and expanded until only a handful of concepts remained. It's just a pure coincidence that the number six matched that of the number of physical science's Simple Machines. We contend that all team tactics, regardless of complexity (from two-officer street stop to a militaristic raid of a fortified compound), cannot be reduced to anything more seminal than the concepts on our short list. They are exhibited in the movements and positioning of any "team," whether two partners or among teammates of a 50-man hostage rescue team. 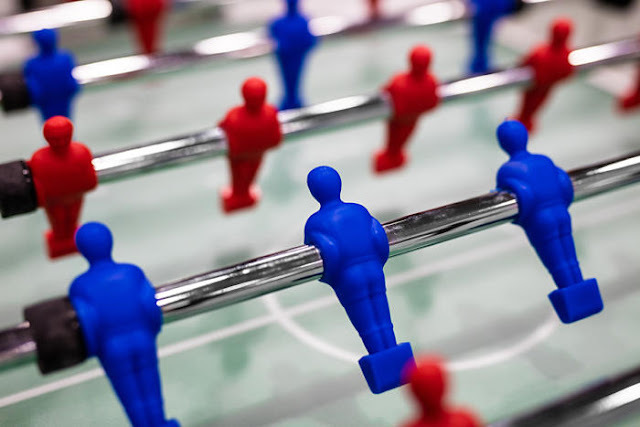 Just as Compound Machines (such as an axe, or doorknob, or steam locomotive) may not contain all of the six Simple Machines, neither do team tactics contain every concept on the list. But just as the comprehension of a toaster oven or a snowblower requires an intimate knowledge of six Simple Machines, so must police officers internalize these six core team tactical skills. 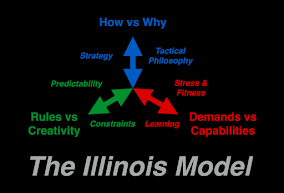 The six core team tactical skills of The Illinois Model, combined into growing complexity. Was there a Priority of Fire issue? Was there a Crossfire issue? Did the team maximize triangulation when appropriate? Were additional threat areas covered or blocked? Was the decision to use Back-to-Back or Cross-Cover appropriate based on the terrain, spacing, angles, etc? Were officers using Cover-Maneuver when performing high-risk tasks (ex: suspect arrest or room clearing)? These concepts and questions began appearing in each and every tactical class. Our students saw them over and over again. 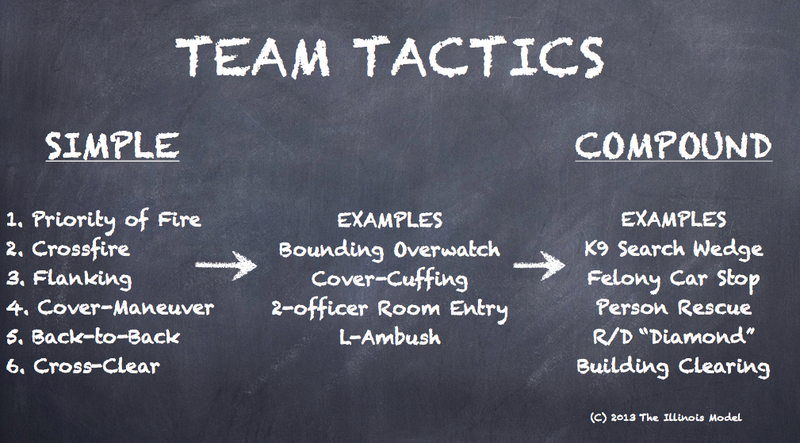 Simply, our students solved tactical problems by using these skills rather than trying to replicate the instructors' demonstration of a rigid technique or formation. Our students applied these skills and made adjustments on-the-fly. Our frustrations disappeared, replaced by a pride in our students. Some skeptical trainers believe these core concepts to be too basic. We contend not, as we use this method to train even the most experienced supervisors and SWAT officers. 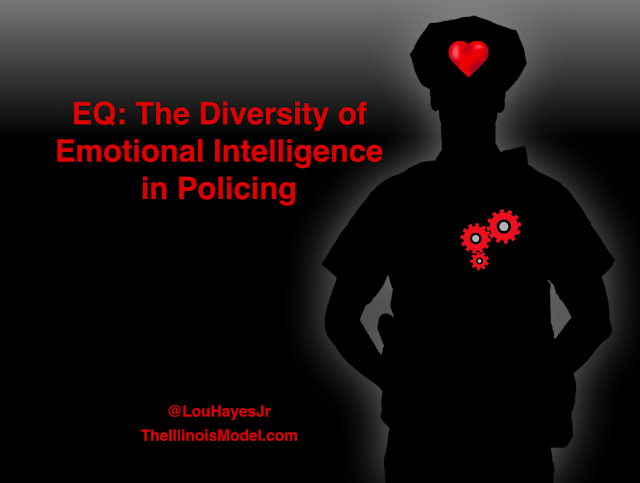 As police trainers, we cannot assume our students fully comprehend both the theory and real life applications of these skills, nor ignore differences in training and reality. If we do, we take the same chance as the engineering professor who asks his students to measure convoluted mechanical forces and movements without first addressing the simple physics of an inclined plane or rope pulley. By identifying and drilling the basics, we give a language to our officers to develop their own tactics, and guidelines for them to evaluate themselves, especially when the circumstances are different than those in the training environment. Memorization will always be trumped by understanding - in the classroom and in police tactics. By teaching according to these team tactical concepts, trainers give broadly-applied skills to their students, in an efficient manner. Those core skills can then be combined into an endless variety of safe, effective, and adaptable tactics. Who'd have imagined all that time spent with Dad fixing broken appliances or those Mechanical Engineering courses at the university would filter their way into police work? Great information about machine discuss in this post.This blog is more important.I bookmarked it. Lou I learned this from a awesome trainer and have been working it ever since. No one human being can predict what another human being will do, so you must have guiding principles to work from not hard and fast. I'm looking to try condensing teaching along similar lines and am curious about the method you used to grow/shrink/condense etc. Was it essentially a "brain dump" from you and your colleague to get a first draft list of principles and then checking and cross-checking that against the various different scenarios? Yes, it required that we begin a list of fundamental concepts, until we determined we had ones that were most universal & applicable across all domains & contexts. We first, however, had to accept that general is better than specific. Specialty tactics/tools were slower, more fragile, and more rigid than what we needed/need.